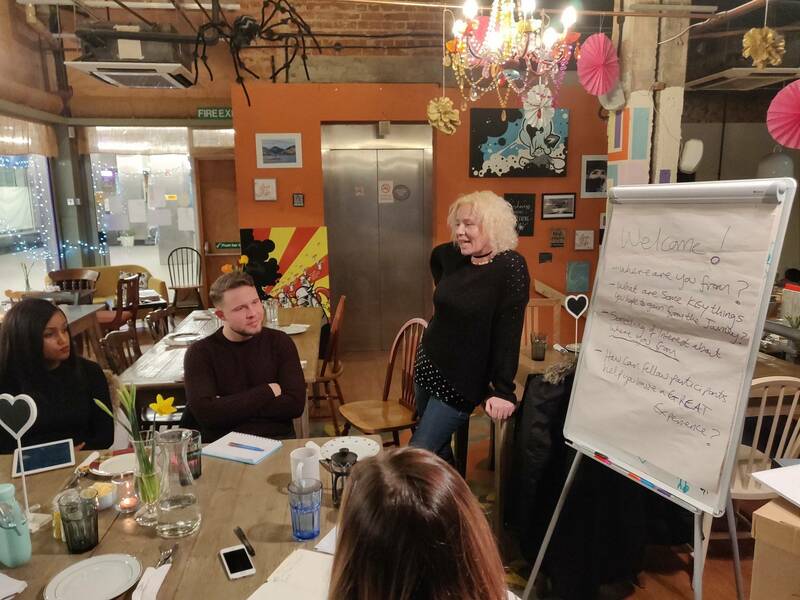 Last week we had the honour of sharing experiences (and new learning) with a group of inspirational people, as part of hosting UnLtd’s ‘Learning Journeys’ – right here in Stoke and Newcastle. It’s great to know that social entrepreneurs from places as far away as Brighton and Dover, would make the effort to travel to our patch. They came to see what we’re up to in Stoke, but also to tell us about their own community projects – no matter what stage they’re at, to becoming a successful social entrepreneur, or valued community leader. Setting up a social enterprise can be a lonely existence, often working alone from home, and not really knowing where to start, or where next to turn. We’ve been lucky in Stoke. We’ve had the support of the Peer Mentoring Hub ‘Social Enterprise Matters’, bolstered by some specific support and training from the fabulous team at UnLtd. Stoke has become one of only a handful of targeted localities, nominated by UnLtd as ‘Resilient Communities’. Our learning has been further supported by the Postcode Lottery, enabling us now to host a ‘Learning Journeys’ event in our home town. It’s allowing us to showcase how the Stoke (and Newcastle) community are pulling together, with our social start-ups and new community ventures. It’s led to us becoming a recognised ‘hot spot’ for community enterprise, recently winning the accolade of ‘Place of Social Enterprise’ with Social Enterprise UK – guided by the dedication of Peter Twilley (visiting Fellow and former Lecturer at Staffordshire University). A number of our local Newcastle based projects have naturally gravitated to the new community cafe called ‘Cultural Squatters’. 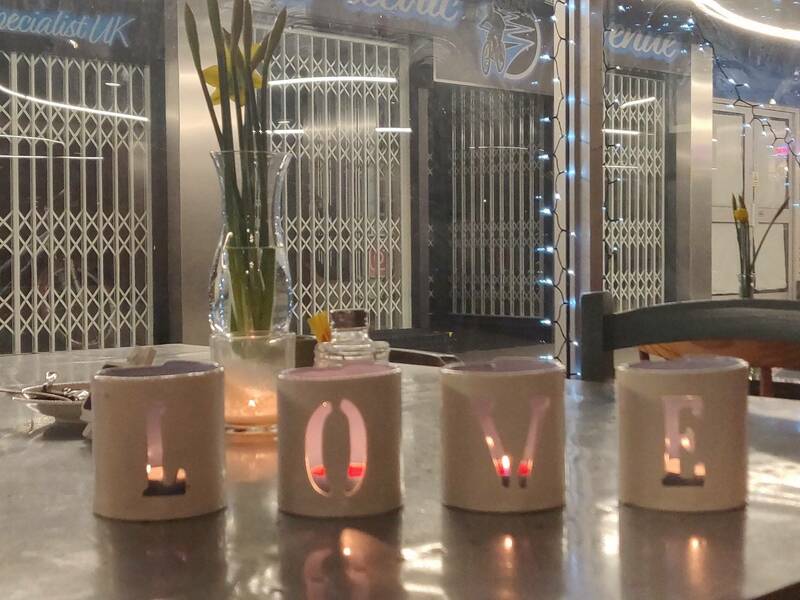 Based in the Astley Walk Arcade, right in the heart of Newcastle’s town centre, it’s welcoming atmosphere has provided space for us as social entrepreneurs. Space to meet and share experiences and collaborate on projects – providing each of us with some much needed mutual support and encouragement. 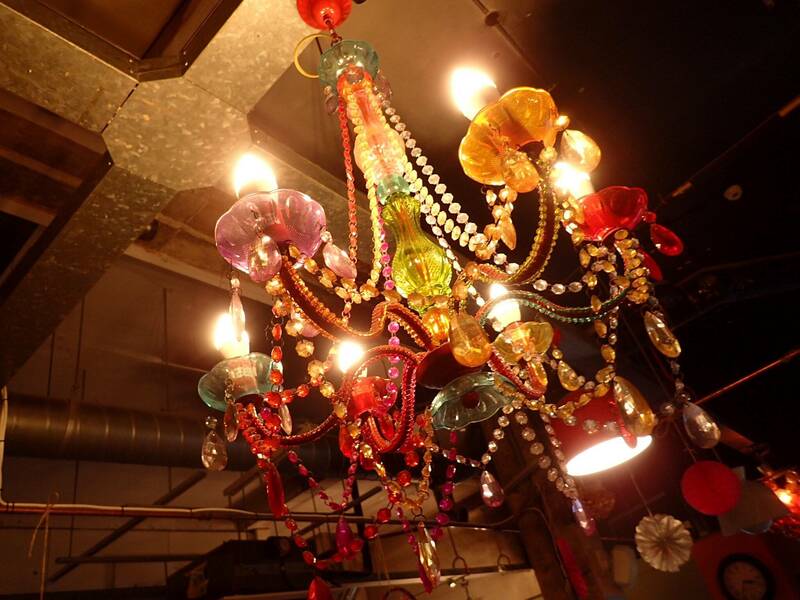 Despite its eclectic mix of decor, fashioned from up-cycled furniture, quirky chandeliers and fairy-light lights, all no doubt bought (begged and borrowed) on a shoe-string, it’s nonetheless a warm and inviting place. It’s perhaps therefore no surprise that it edges more towards shabby than chic, but nonetheless offers something considerably more valueable and more affordable than the formulaic Costa and Caffe Nero on every high street corner. Its decor is further enhanced by splashes of colour on the walls and pillars, courtesy of several volunteer painting parties, just a few months earlier. At that time, everyone pulled together to help prepare the new venue for launch. It’s since benefited from further artwork adornments provided by local aspiring artists, and also the creative endeavours of the now ‘regulars’ themselves. I guess we just felt comfortable ‘squatting’ here – so perhaps there’s place better to host our visiting entrepreneurs than ‘The Squat’, as we now all affectionately know it. Our 2 days of networking and learning began with dinner at Cultural Squatters, hosted by the effervescent Narina Stead and her fab volunteer team. The food was fabulous and included a Moroccan style lamb tagine (plus Vegan option) with starters of salads/breads/mushrooms and sides of potatoes and lemon couscous – followed by a choice of puds, including ‘Narina’s Mess’ (much better than Eton’s original). After dinner, Mike Riddell introduced his own history, his business/commercial background and his earlier role managing the shopping centre, which forged his personal connection to ‘The Squat’. He also introduced his own initiative ‘Counter Coin’, as a volunteer rewards currency – in his own equally effervescent style. Our guests then joined Mike an I in ‘making some money’ in a mini-Counter Coin Challenge – with others taking up their own challenge on the ‘ping-pong’ tables! Thankfully not too much of an early start, giving those who’d traveled a bit of a lie in. Meeting back up at Cultural Squatters for an oatcake inspired breakfast. What else would we eat, but The Squat’s signature dish, setting us up for the busy day ahead? 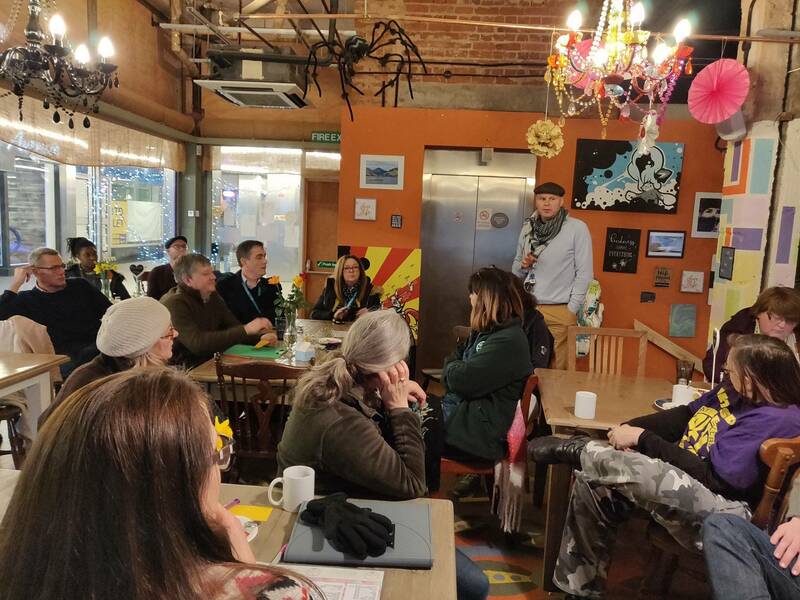 The learning continued, with Narina outlining what inspired her (and Mike) to set up Cultural Squatters, and how the volunteers pay a key role in the day-to-day running of the cafe as the town’s social hub. It was clear that they’re bringing confidence and new skills to those people who are sadly often left languishing furthest from job market opportunities. Narina highlighted that how, in just a few short months, they’ve already had numerous successes stories. How they’d helped enhance people’s CV’s, and give people the ‘lift up’ they need to support them find work and paid employment. Some have even earned sufficient cash to take a holiday for the first time in years! One of The Squat’s volunteers then bravely, but confidently, stepped up. He talked through his own experiences of previous employment, and how he’s progressed from pot washing in the caf, to now working alongside Narina to engage his own passions in gaming, building his own confidence to help plan and host a forthcoming events for young gamers. It was both heart-rending and heart-warming stuff – but this was just the start. Up stepped three more regulars/volunteers, to tell their own experiences of the warmth, and love for ‘The Squat’. From beautifully penned poetry, to edgy/witty rhyme, and lastly a tear-jerking poetic account of just what the ‘open arms’ atmosphere of The Squat means to them personally. (Not forgetting a nice little jam session, giving us a chance to sing along – myself and Mike sharing a song sheet, and soon realising that our singing is just as bad as each others!). It was a perfect way to show just what Narina, Mike and the volunteers and regulars themselves have created in that short space of time. For me the poetry was the highlight of the 2 days, to see true ‘social impact’ in action, yet delivered so creatively by the beneficiaries themselves. Kind words for kind people, sincerely written from the heart(s) of equally kind people. 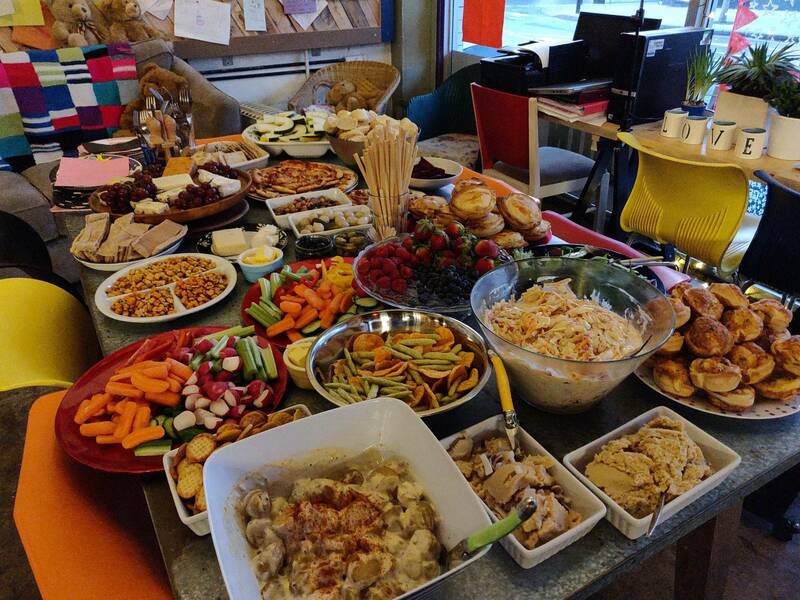 A testament to what’s been achieved at this community cafe in just a few months – through their infectious ‘#BeKind’ philosophy. I think we were all left feeling what a credit those people are to our home town of Newcastle (and the wider city of Stoke) as a ‘Resilient Community’ – and how effortlessly they seem to make new people feel ‘one of them’ (#OneOfUs). No pressure on me, now it was my turn to showcase my own Human-Nature project. For my own slot we decided to get the group outdoors into fresh air, experiencing some of our local culture and landscapes, those which the regulars with Human-Nature ‘escapees’ so very much enjoy themselves. To be honest, I’d spent the last few days stressing about what the weather was going to do – especially as the forecast was snow the night before. As so often happens with our Human-Nature outdoor walks, I needn’t have worried. The sun shone, despsite the nip in the air! “The sun always shines on the righteous”, I always like to say – but in reality I know, we’re just damn lucky! 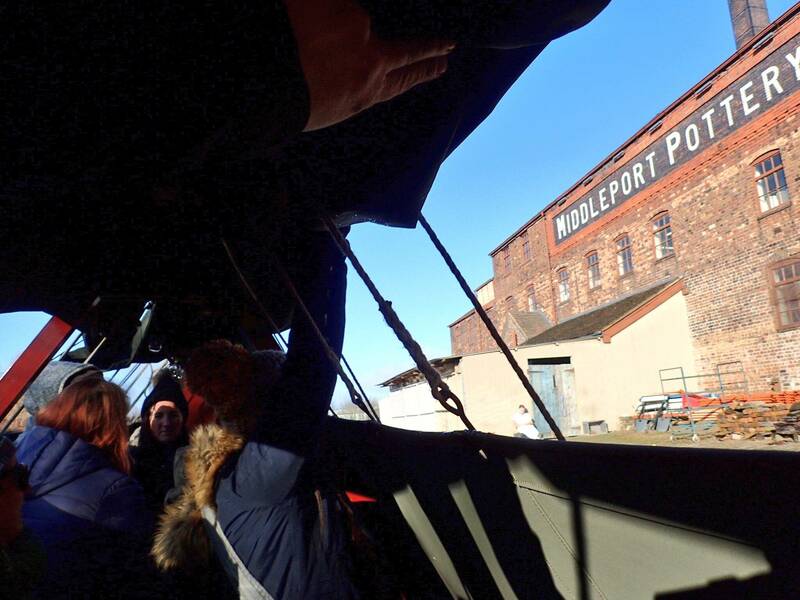 We stepped aboard ‘Dane’ historic narrowboat at Festival Park, setting off on our journey to Middleport Pottery. 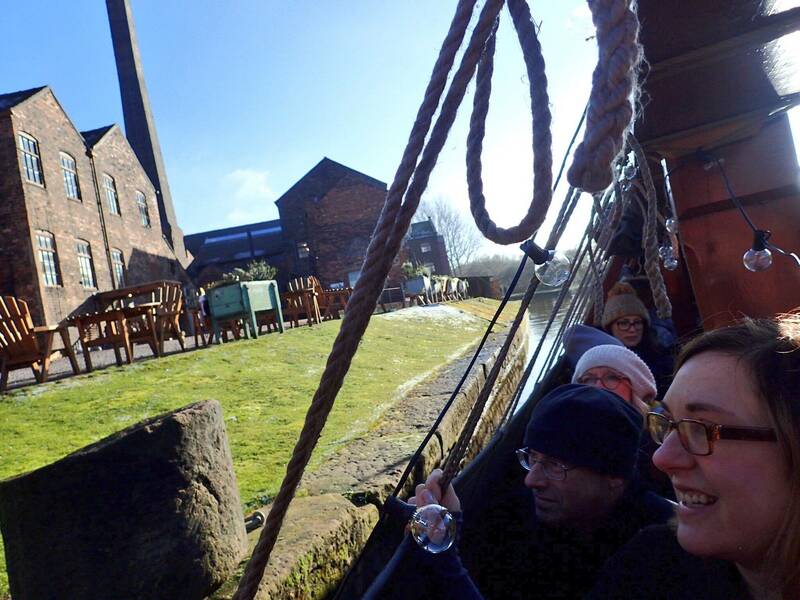 Ably supported by the wonderful volunteers from Middleport (United Kingdom Historic Building preservation Trust – UKHBPT) who help run the tourist attraction and steer the boat, we together narrated the story of the Etruria Valley. Also how our Human-Nature project enjoys those landscapes as our nature ‘escapes’. We described Etruria’s roots as the birth of ‘The Potteries’ by the founding father ‘Josiah Wedgwood’ and the advent of the canals to ship in raw materials and out-going finished ware. On through the demise of the Shelton Bar Steel Works, the regeneration from the National Garden Festival (and the green space that still remains) and now the emergence of Ceramic Valley, with new internet and technology businesses like Bet365 and Vodaphone now providing local jobs at their huge HQ office buildings. From that modern stretch of the canal, it’s not the prettiest of landscapes, as we journeyed through the vacant post-industrial land, still waiting its turn to be re-developed. On past the the broken factory buildings (which to me have character all of their own, and make excellent subjects for moody black and white photos). As we traveled along, it gave me an opportunity to tell my own story. I guess my own personal ‘learning journey’ since my stress breakdown in 2010, and how these local landscapes helped my recovery – from bike rides down the canal to taking nature photographs – and how I’d sensed that nature was healing me. I explained how I’d since found others, who similarly found recovery and resilience by connecting to nature, and how our group have grown to value both the natural and cultural landscapes around our city. From nature sites in our city parks (like Hanley Park and Westport Lake), but also how these spaces are connected by the canal as its own cultural landscape – giving us a sense of history and belonging, which to us are equally important to achieving a sense of wellbeing. I described our project’s struggles of finding a base for our project, and how we now see the canals as a solution, combining the health benefits of green and blue space, and particularly conducive to helping people with workplace stress. Also, how we might link up with major business employers along the canal corridor to provide a therapeutic service for employees to ‘return to work’ or ‘stay in work’, whilst still supporting wider community health creation with our ‘Natter in Nature’ walks, Nordic walking and Nature Conservation activities along key stretches of canal that connect us to local nature and culture. 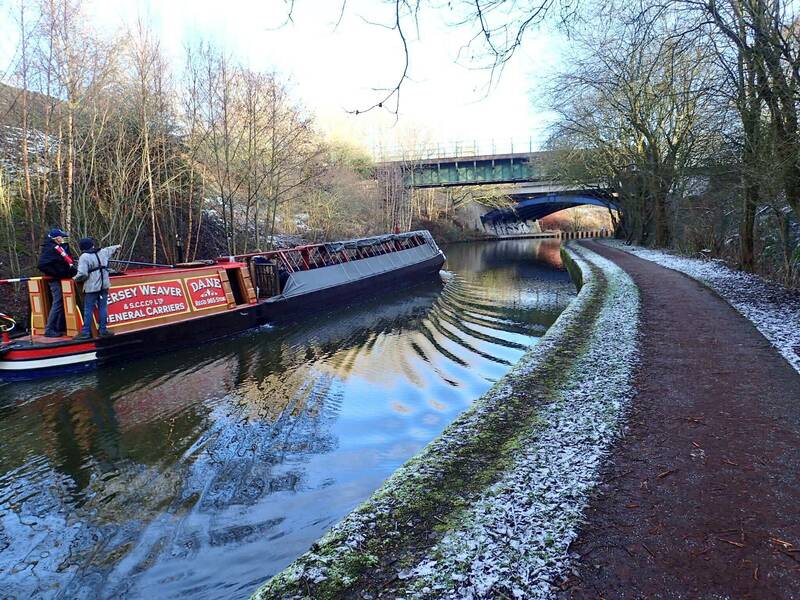 Lastly I mentioned our ambitious plans of creating a purpose built arts/wellbeing narrowboat. Perhaps the exact opposite of the historic Dane narrowboat – a modern hybrid electric propulsion boat, to provide a unique, quirky mobile base for our project. The cultural experience continued as we dis-embarked at Middleport Pottery, for a traditional bowl of pottery-workers ‘Lobby’ (served in Burleigh ware of course!). Lunch gave extra opportunities to network and share learning experiences from the projects in other parts of the UK – discussing everything from community challenges, the economy, the NHS and social prescribing, gender equality, privilege, Tax, poverty, inequality, younger generations & of course what the future might hold for social enterprise. A whistle-stop tour of the pottery followed, meeting up with local artists that we’ve linked up with as sessional workers for the Human-Nature project – Jon French (Master Pottery Craftsmen and Fine Art Painter) and Alex Allday (Ceramist/Pattern Designer), the latter who’d worked with us on the ceramic Counter Coin Project. A brief glimpse inside Middleport’s remaining bottle kiln, and chuckle about the best job description of all time – ‘a sagger-makers bottom-knocker’! 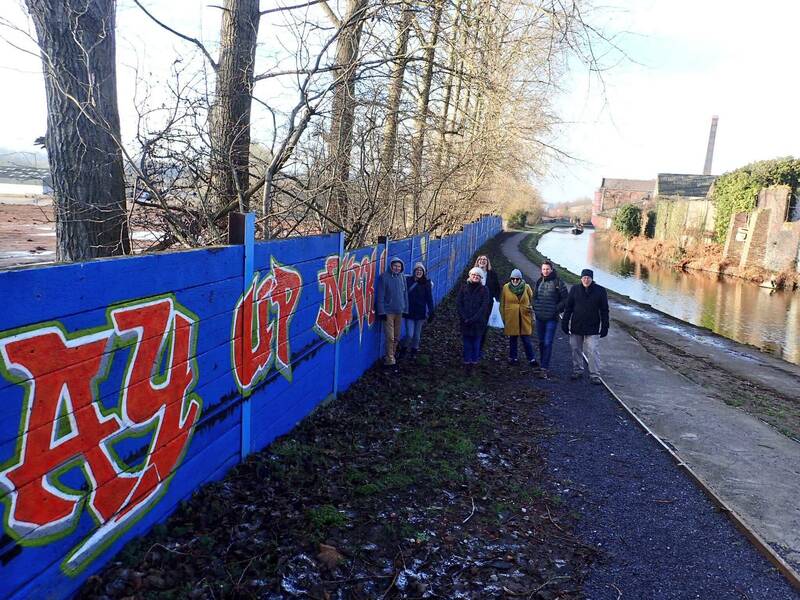 For the return journey the group split, with half deciding to stretch their legs on a canal walk, with photo opportunity at the ‘Ay Up Duck’ graffti artwork by the Middleport Bridge, as ‘Dane’ followed dutifully alongside at walking pace. As we walked/boated we prepared our thoughts for ‘Key Learnings’ from our journey so far. Back to Cultural Squatters, for some quite reflection and identifying Key Learnings onto post-it notes, followed by some facilitated summary and discussion on the key learning points over the last day or so – by Nickala and Alex from UnLtd. Our day came to a close with a wider networking session joined by people who were unable to attend the full event. This included people looking to become social entrepreneurs, other projects already active, and helpful introductions and support from other funders like Big Lottery (soon to become National Lottery Community Fund). Mike, Narina and I got an opportunity to re-cap on our projects and what we’d particularly learned over the 2 days, with more fabulous catering care of the Cultural Squatters Team. 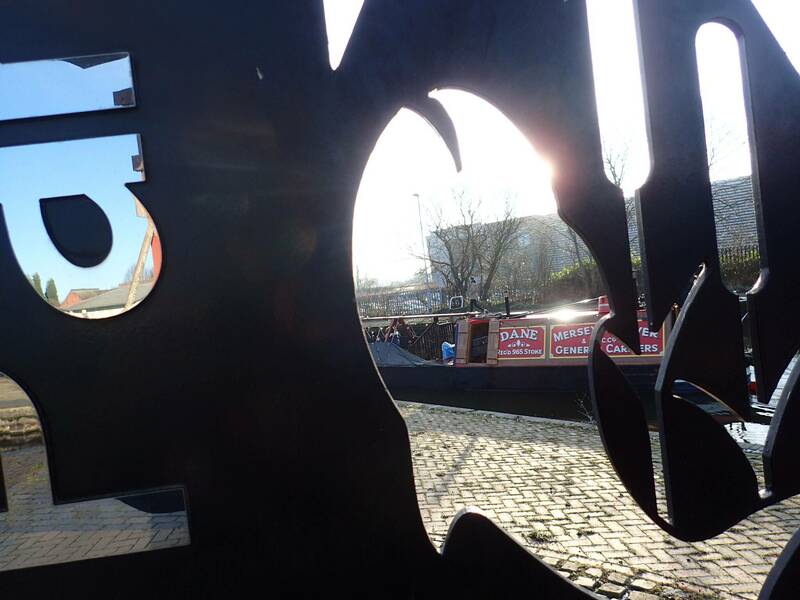 Whilst we had to show that not everything about our city is that pretty, and it’s clearly gone through some tough times – hopefully we’ve shown that we’re coming out the other side with some positivity – with our heritage, hospitality, humour, but above all our heart. It would be great to come back together again as a group in say a year’s time, just to see how far our ‘Learning Journeys’ have taken us. If enthusiasm is anything to go by, our opportunities should be ‘unlimited’! I’d like to take this opportunity thank UnLtd’s team, especially Alex and Nickala, not only for their support for this event, but their efforts over the last few years in helping us make Stoke and Newcastle into ‘Resilient Communities’. It was great to meet new people from around the UK, and hear their personal stories too. They say ‘Life’s a Journey’ (not a destination), but it’s made all the richer by the people we meet along the way – especially those who inspire us and who we can learn from. Throughout life there’s often opportunities to ignite a fresh spark of enthusiasm and be influenced by those people we meet. This holds true for all sorts of journeys in life, including making our way through the world of work, and finding people who help shape our careers, or even help us change direction part way through. Well, I’m one of those people who decided to change my direction mid-way through my career, to make a break from a job that no longer inspired me, where I was no longer learning, and which I felt was blocking me from flourishing – a career that was beginning to have a detrimental effect on my wellbeing. So began my career change, and the start of a whole new ‘learning journey’ – a totally new direction to becoming a social entrepreneur and becoming the instigator of my own community project. One which would nurture my own wellbeing, and aim to help others too. From day one on that new path, I’ve continually been inspired by fellow citizens, who like me have made similar decisions. Difficult as it is, to fashion a whole new career around a social cause – it’s often as a result of a particular ‘lived experience’ or a ‘social injustice’ that we’ve encountered along the way. Something that’s stirred our passion, captured our imagination, and given us a new sense of purpose – a cause worth fighting for!